Ralf Kesper (Fröndenberg, Germany) on 24 March 2019 in Architecture and Portfolio. Superb work on thye sky wich makes all the picture ! Very nice HDR, beautiful building! Wow ! How did you do that ? Long time exposure ? Superbe composition! Superbe architecture avec cette pose longue! What a fantastic shot here !!!!!! Excellent catch of this magnificent building! amazing image..wonderful backdrop here !! Wow... quel magnifique cadrage et beau ciel rayonnant. such beautiful frame, colors & clouds! The crown jewel of your photograph: the gorgeous treatment of the sky! At first glance I thought of a crown. Beautiful place. Wow, what a beautiful building. Superb photo. Superb angle and processing ! Congratulations ! Excellent composition! Superb treatment! Congratulations! Superb picture with this moving sky ! Congratulations for the spotlight ! Congratulations on the Spotlight! This is an incredible image! Very well deserved! Congrats Ralf for this Spotlight ! Gorgeous architecture captured against a very animated sky! Congratulations on the well-deserved Spotlight! 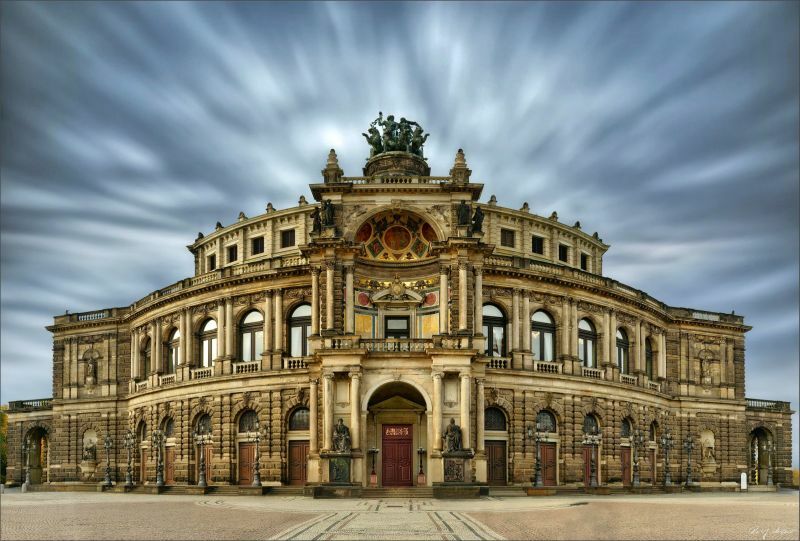 I missed….congratulation with the Semper...Dresden hè ? La pose lente donne un effet au ciel qui guide notre regard, BRAVO.